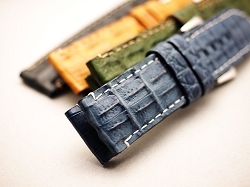 Ted Su alligator and croc straps are made from the finest materials hand picked individually from the most prestigious tanneries around the world. 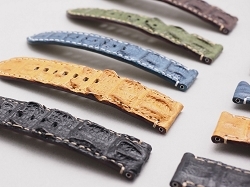 Big horn back and baby horn back straps are cool matches for large dive watches such as Panerai, Breitling, Omega, VDB and more. Panerai lovers around the world especially love our Big horn back straps. 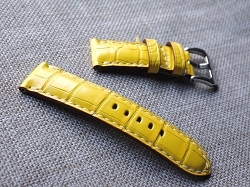 It is our best selling croc strap since it was invented in 2005.
be accomplished by the most skilled craftsman in our workshop. 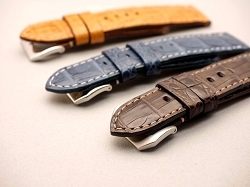 We can custom make alligator/croc straps for almost all brands and models. Please feel free to contact us.